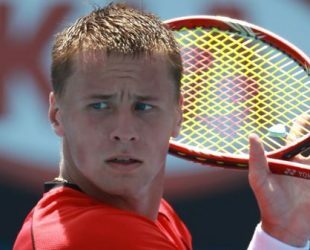 Ricardas Berankis was born on 21 June 1990 in Vilnuis, Lithuania, Is a professional tennis player and member of the Lithuania Davis Cup team who lives in Florida. He began playing tennis at age 2. Speaks Lithuanian, Russian and English. He has a distinctive career as a tennis player, winning the US Open title in 2007. Hobbies: Reading, Fishing, Playing pool, Music.